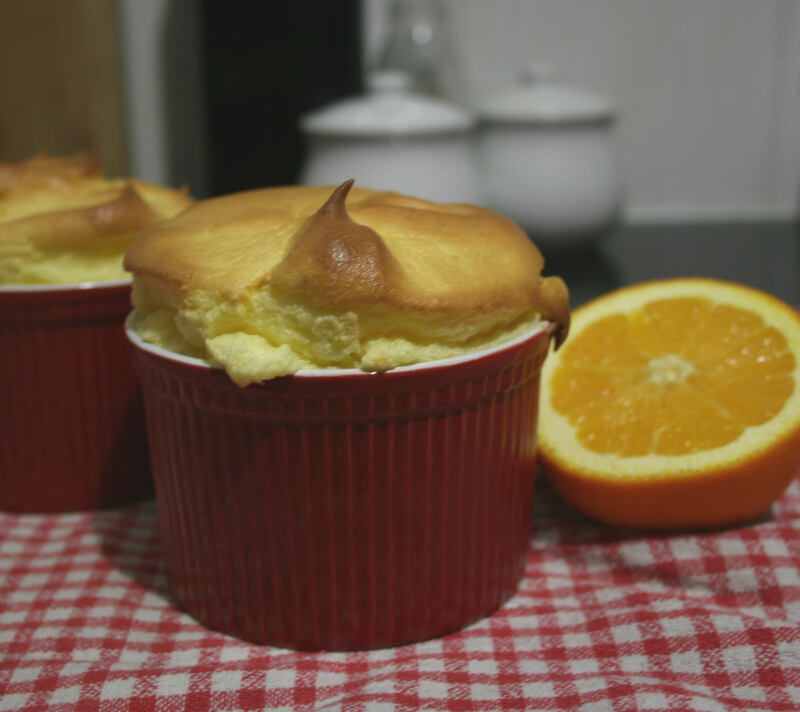 The photo isn’t great because the souffle is supposed to be eaten in the first 10 seconds, I didn’t have time to juggle the camera! They already started deflating in the photo. Adapted the recipe from here. Preheat oven to 175C. Grease 4 one-cup-size ramekins with butter and then coat with sugar. Set aside. Melt the butter in a saucepan over medium heat and whisk in the flour until completely dissolves. Mix in the milk and cook, stirring constantly until the sauce boils and thickens. remove from heat. Mix in the orange juice and zest. Whisk in the egg yolks one at a time. Set aside. Whip the egg whites until foamy. Add salt and cream of tartar and continue whipping for a minute. Add sugar in two additions whip between each addition until the sugar dissolves. Continue whipping until the egg white forms a stiff peak. Spoon about 1/3 of egg white into the batter and mix well. And then pour the mixture into the egg white and fold until they are mixed together. Divide the mixture into the ramekins. Bake until they are puffed and browned, about 15-20 minutes. Serve immediately.